Setting the Clock Right for All Former Students. Welcome﻿ to The Saint Anthony's Seminary Timeline. A complete and unabridged record of the entire history of the school. ﻿The SAS Timeline is an online and ongoing work-in-progress, added to and updated periodically. To use the timeline, simply read and scroll and click on the available links. It's that easy. The SAS Timeline is part of a research and education project of Instruments of Peace. January 4 - The first known record of establishing a western Franciscan province is mentioned in provincial records for the Franciscan Province of the Sacred Heart of Saint Louis, Missouri. 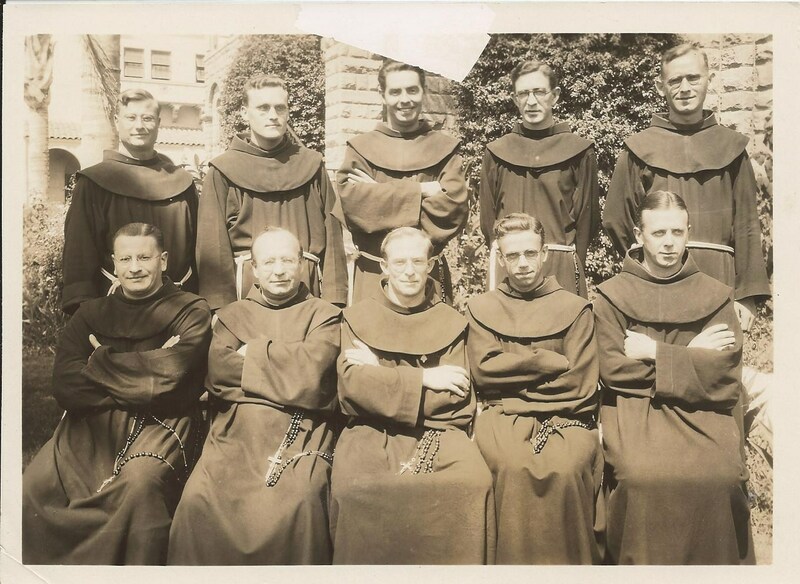 October 2 - The first known record of establishing a Franciscan "college for vocations" in Santa Barbara, California, is mentioned in formation records for the Franciscan Province of the Sacred Heart of Saint Louis, Missouri. August 16 – Peter Wallischeck, OFM, of the Franciscan Province of the Sacred Heart of Saint Louis, Missouri, arrives in Santa Barbara, California. Later that year The Province of Saint Barbara is founded. September. 22 – Saint Anthony’s College is established at Mission Santa Barbara as a 4 year high school and one year college/preparatory for novitiate. October 26 – Mathias Rechsteiner, OFM joins the faculty. June 18 – Saint Anthony’s College undergoes renovations. September 13 – Renovations are completed. Expanded living quarters for students are added along with two classrooms. Edward O. Lunney, OFM joins the faculty. 26 students are enrolled. 2 students enter at midyear and enrollment is increased to 28. April 8 – The Franciscans vote to construct a new seminary on property adjacent to Mission Santa Barbara. 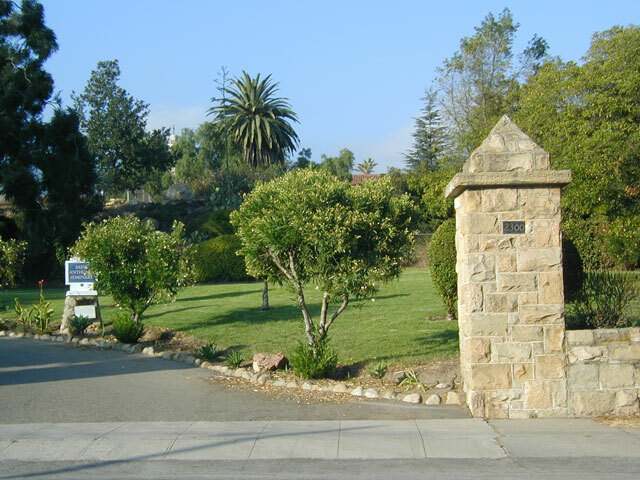 August 25 – Excavation work begins at 2300 Garden Street, in Santa Barbara. Architect Adrian Wewer, OFM, designs the new free-standing wood and stone building. Dr. Edward Williams Sr. donates most of the funds. 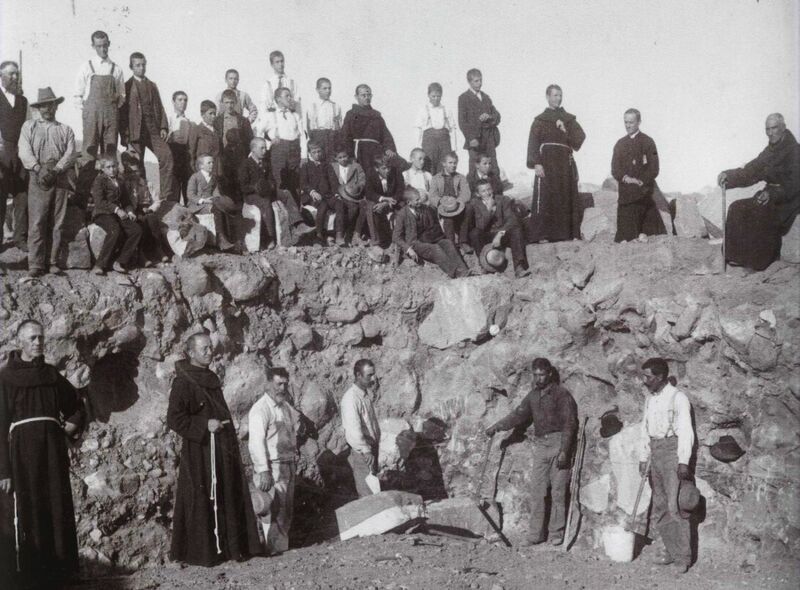 1898 October 10 – Killian Schloesser, OFM lays the first stone at 3:40 PM. A.L. Pendola is the contractor. June 13 – The cornerstone of the new school is laid on the feast day of Saint Anthony of Padua and dedicated by Bishop George Montgomery of Los Angeles. June – The first graduating class of Saint Anthony’s College. 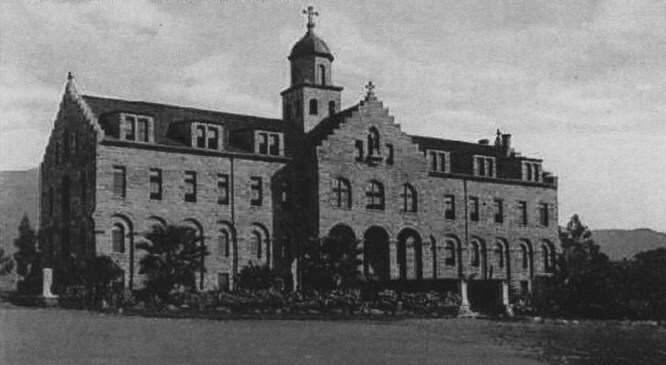 December 31 – The new Saint Anthony’s College, fully electric with indoor plumbing, is completed. It houses a top floor dormitory, a second floor chapel, classrooms, a study hall, a small kitchen, a basement refectory, a laundry room and various administration offices. January 27 – Classes are held for the first time in the new building. Peter Wallischeck, OFM celebrates the first Mass in the new chapel. April 25 – The new building is blessed and dedicated by Bishop George Montgomery of Los Angeles. May – The second graduating class of Saint Anthony’s College and the first at the new location. August – The first student catalogue of Saint Anthony’s College is published. The first Saint Anthony College orchestra is formed. Saint Anthony’s College is officially re-named "Saint Anthony’s Seraphic Seminary." October 30 – The first issue of The Antonian, a student magazine, is published. The 25th anniversary and Silver Jubilee of the founding of The Province of Saint Barbara. Friar Theophilus Richardt becomes the new rector of the seminary . The Bernhard Hoffmann house ("the Casa"), is constructed next door to the seminary. It is designed by Scottish architect James Osborne Craig. Saint Anthony's Seminary as seen from the Mission side. April 29 – The cornerstone for the West Wing is dedicated by Bishop John J. Cantwell of Los Angeles. The master plan for the seminary is also unveiled. July - The West Wing (new study hall) nears completion. September – The new addition is nearly finished. It features a dormitory on the third floor, classrooms on the second floor, and a study hall with a curtained stage on the main floor. December - Detail work on the second building is finally completed and the new dorm is occupied by students. Work also begins on a third building to be called the "Service Wing." The building is designed by architect Ross Montgomery. January 3 – Work on the Service Wing is completed and features a friar refectory, friar chapel, kitchen, guest rooms, storeroom, and school infirmary. The building is designed by architect Ross Montgomery. The dedication is conducted by Bishop John Cantwell of Los Angeles. Tackle football is discontinued at the seminary due to numerous student injuries. September - 108 students enrolled, representing the first time the student body topped 100. The Tennis/basketball courts are built to the north of the study hall building and along mission canyon. Horseshoe pits are created in an area that will become the future site of another student dormitory. 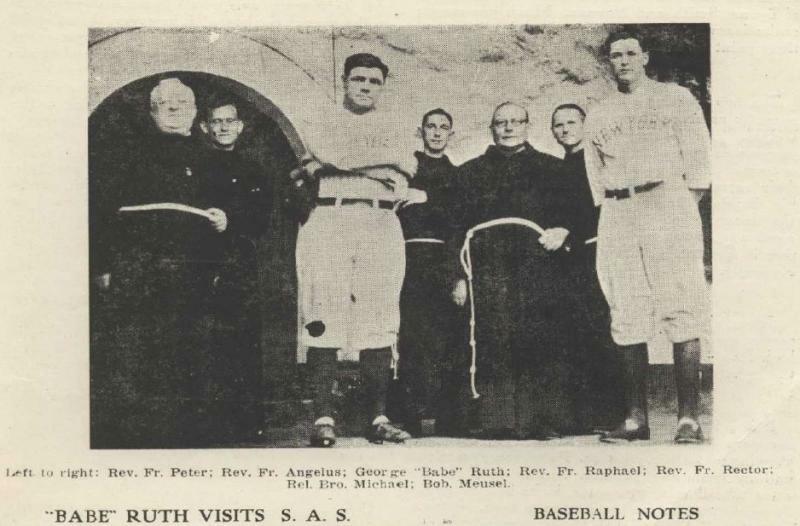 October – New York Yankee ballplayers Babe Ruth and Bob Meusel visit Saint Anthony's. The event is captured on film by student photographer Louis Martin McMullen (class of 1929) . December - First alleged incident of sexual abuse of a seminarian by a friar at St. Anthony's Seminary. to SafeNet in 2004, by the former seminarian's granddaughter who discovers her grandfather's diary after he passes away. Official student body photograph taken on the front steps of the new seminary building. June 29 – 6:44 AM – An earthquake with a 6.3 magnitude and lasting 19 seconds, jolts Santa Barbara in two waves. The seminary chapel is destroyed and the main building is badly damaged when the upper walls fall outward. 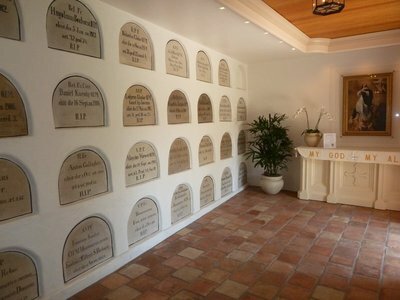 John Shea, a seminary worker, is killed and later laid to rest in the friars' crypt at Old Mission Santa Barbara, one of the few laypersons to be interned there. July – Debris is cleared and repairs to the main building are begun. The two upper floors are demolished along with the damaged chapel also located on the second floor. The new floors are to be re-framed in wood with the outer surface done in stucco. Architect Ross Montgomery is hired to oversee the restoration of both the seminary and Mission Santa Barbara, which had also also been damaged in the quake. September - Reconstruction of the seminary begins. Students play "tag" football as the work continues. December – The restoration is completed. The ground floor houses the main study hall. The second floor includes a main music room, several practice rooms, bedroom/offices for the prefect and vice-prefect of discipline, a photography darkroom, and a new cloister wing for the priests. The top floor consists of a cavernous, open dormitory ( nicknamed “The Barn") that stretches the length of the main building. Bath, shower and storage rooms are located off a central corridor that will eventually connect the dorm to the entrances of the soon-to-be-constructed tower and chapel. The top floor also has a full attic with access to the small, frontage cupola. 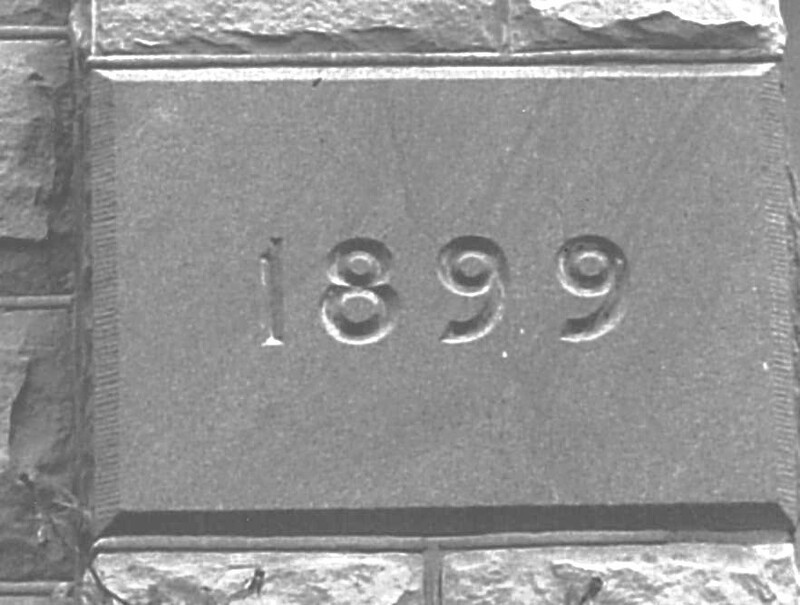 A second cornerstone is placed mid-way up the old main building to acknowledge the new additions. Student bathrooms in the basement ("The Main Jakes") are upgraded and enlarged. January - Construction of the new chapel with connecting tower is started. Reinforced concrete is used. The building's are designed by architect Ross Montgomery. January 3 - The new chapel is completed. Finishing work continues on the interior, including the sanctuary's ornamental frontispiece behind the altar, or “reredos”. 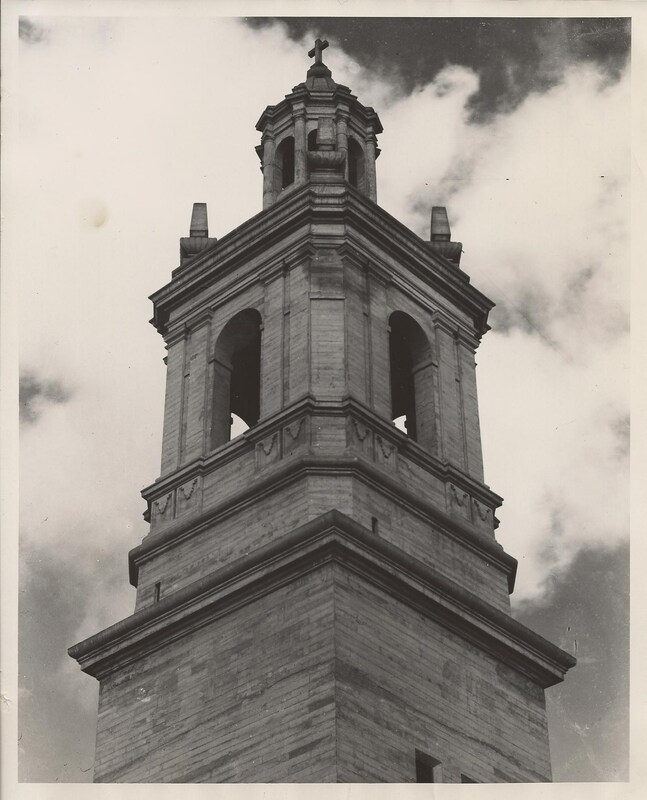 It is designed by architect Ross Montgomery and executed by sculptor Christian Mueller, with direction from friar and seminary rector Theophilus Richardt. February 11 – The new chapel is ready for use. It is connected to the Main Building and the West Wing through an arcade. 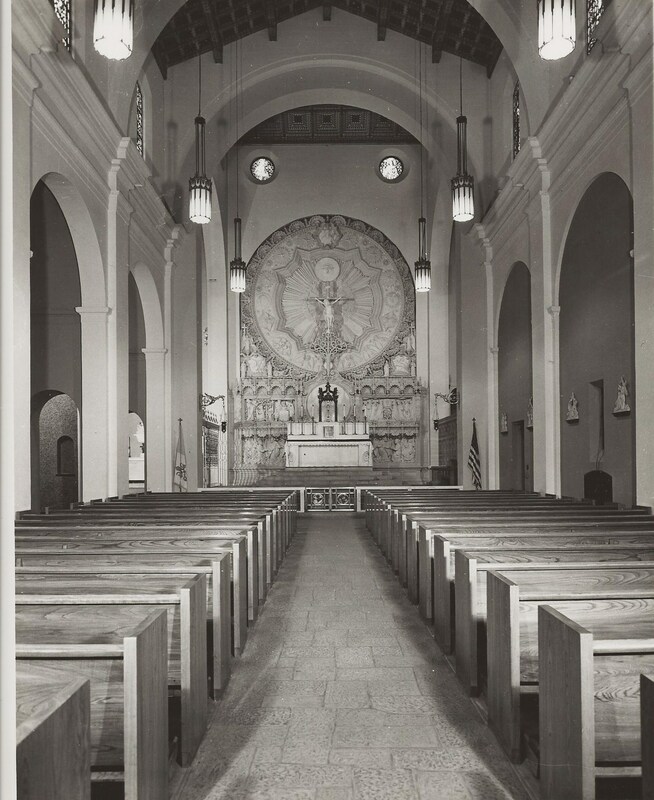 Spanish-colonial designs are applied to the ceiling, beams, and choir loft. 11 large glass windows (stained glass is installed at later dates) grace the upper walls. The new concrete tower is nearly 160 feet tall and visible for miles around. March - The Community Arts Association of Santa Barbara awards the seminary chapel and tower its "certificate of recognition for outstanding religious architecture." May 3 – The seminary's new chapel is christened "Christ the King Chapel" and dedicated by Bishop John J. Cantwell of Los Angeles. After the dedication, dinner is served for the clergy in the seminary dining room. The chapel reredos is completed. May 27 – The main altar of the seminary's new chapel is consecrated. October 2 - Friar and seminary rector Theophilus Richardt falls ill with bronchitis and is admitted to newly opened Saint Francis Hospital for treatment. November - Friar and prefect of discipline, Louis Schoen, assumes the duties of rector of the seminary during friar Theophilus' recuperation. The football season comes to an end for all three student divisions: Seniors (Bears and Huskies), Juniors (Wolves and Tigers), and Midgets (Bees and Fleas). January - Work begins on a massive stone wall below the chapel and above Mission Creek Canyon to prevent the winter rains from washing away the embankment and possibly dislodging the chapel from its foundation. January 7 - The student body is entertained by Mr. Dwight Murphy who brings his "moving picture machine" to the seminary and shows (silent) films of Charles Lindbergh's flight to Paris (May 20 - 21, 1927) and "the excursions of many other aviators." February - With the rector's approval, brown cloth "beanies" are made for all students, courtesy of friar Felix, the seminary tailor. "Say it with Beanies" becomes a popular slogan. 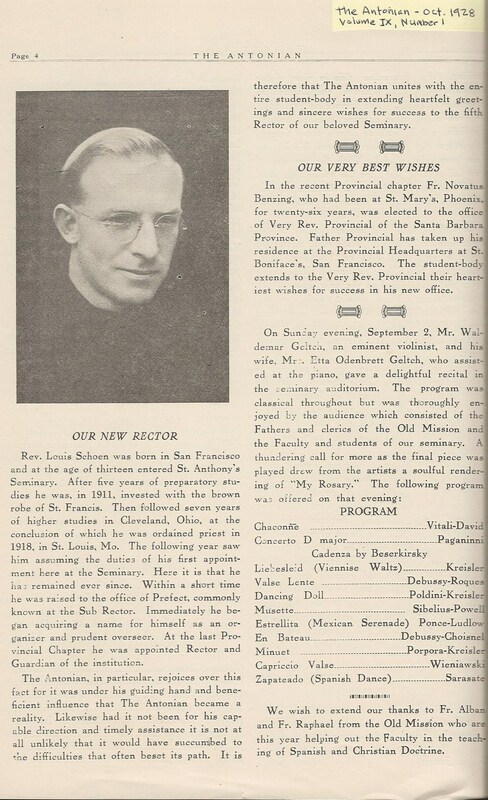 June 12, 1929 - Friar Peter Wallischeck, the seminary's first rector, celebrates the golden jubilee of his ordination in a solemn high mass at Mission Santa Barbara. September - With publication of Volume X, Issue 1, The Antonian celebrates the start of its tenth year as the seminary's official student publication. November - Five new freshmen join the school. January 22, 1930 - Friar and former seminary rector Theophilus Richardt dies in Palm Springs, California, of complications from pneumonia, nine days short of his 61st birthday. May - Friar Capistran (Joseph) Damek, a graduate (1900) and former teacher of Saint Anthony's, passes away suddenly in Los Angeles. His body is laid to rest at Old Mission Santa Barbara cemetery in services attended by the faculty and student body. June - Frater Owen da Silva is ordained a priest at Mission Santa Barbara, and will join the seminary faculty the following year. In 2009, decades after his death, da Silva is identified in a civil suit as one of 27 alleged Franciscan offenders in the clergy sexual abuse scandal. September - Faculty photograph, Franciscan friars. Seated (L-R): Victor Herring, Turibius Deaver, Louis Schoen (rector), Victor Bucher, Mark Bucher; Standing (L-R): Matthew Poetzl, Robert Schmidt, Bernardine Faumrister, William Clark, Angelus Bold. June - Friars Thaddeus (Henry) Kreye and Alan (James) McCoy graduate from the seminary. Kreye will later return to Saint Anthony's as a teacher and serve from 1953-1972. McCoy will go on to be elected provincial of the Province of Saint Barbara from 1968-1973. Updates are added to the SAS Timeline periodically. Check back for new additions. Due next: the Thirties (continued) and the Forties.